Is the Cost of a Financial Advisor Worth It? A couple months ago I was having lunch with a friend. He’s a financial advisor/planner and we talked about his job since he just started with a new company. He told me that their intro financial planning product was a “comprehensive financial plan” that they did for clients to see where they were financially and what help they might need. He said his company offers a complete money-back guarantee in case the client is not happy with the plan’s findings. He also noted that in the history of the company (20 years or so) no one has ever taken them up on the guarantee. I was curious so I asked him what the plan’s cost was. “It’s $4,500,” he mentioned casually. I almost spit food out of my mouth! $4,500????!!!! There’s NO WAY that plan is worth that!!!! I’m looking to start an official retirement account. I have about $5K to start. I’ve heard people say things about working with a ‘fee only’ financial consultant but I don’t know what that means. Can someone point me in the right direction? I don’t know what I’m doing…help. A financial advisor is going to work with you to develop a financial plan. Is that what you want? It sounds as if you already know what you want — to open a retirement account. You can do that on your own and with no cost at all. You can google the type of retirement account you want (IRA, Roth, etc.) then set it up yourself. I would recommend Vanguard as their process is easy, it’s free to set up, and their index funds are very low cost. At your age, putting money in a low cost index fund and letting it sit there for a few decades is a very good idea. I’d be interested working with you. At [my financial planning company] I don’t have a minimum asset size. I would charge you 1.5% asset mgt fee, so about $75/yr to start. I help people get off their ar$e and start saving and investing. Then encourage you to save and invest more and a resource to you for other finance questions that come up throughout the year. I walk you through opening an account and help determine IRA, Roth, taxable…or combo. Most advisors only take on clients with more than $100k to invest and suggest “DIY then call me”, I’d prefer to work with you from the start and get you to 100k faster. Since you are already part of this community you have access to great DIY advice and I have no doubts you’ll excel. Is Financial Planning Something Worth Paying For? Why Don’t They Publish the Net Worths of Financial “Experts”? I was so enraged by the two events above that I started Googling around a bit to see just how terrible financial advisors are. I received some surprising news as I did. I was expecting more posts like the ones I had written, blasting advisors. You know you incur fees to buy and own investments. You also know you’ll pay a separate fee when you hire an investment advisor to help you. But is the investment advisor’s fee worthwhile? Or, stated differently, will the advisor’s services enable you to earn more (net of all fees) than if you avoided the advisor and invested on your own? Yes, according to Vanguard, whose mutual funds manage $2.5 trillion for investors worldwide. Even though the company is well-known for catering to “do-it-yourself” investors, its study has concluded that financial advisors increase their clients’ investment returns by three percentage points. Uh, wait a second. VANGUARD is saying that financial advisors are worth 3%? That sounds strange. But it’s not. Turns out Vanguard did commission a study and they did say that advisors add 3%. Vanguard released a paper in 2014 that found a financial advisor can add as much as approximately 3% of value in net portfolio returns per year through smart financial decisions. A study by Morningstar found that advice from a financial planner can add 29% more wealth through retirement. And a recent study by John Hancock Retirement Plan Services found that 70% of those who work with a financial advisor or planner are on track or ahead in saving for retirement, compared with 33% of those not working with an advisor. So, perhaps I was wrong? Maybe financial advisors are worth it. As all of this was rattling around in my head, I heard an interview on the Dough Roller podcast with a financial advisor. Turns out the podcast host, Rob Berger, had written a Forbes article and let’s say he was less than flattering towards financial advisors. One advisor, Jeanne Fisher, contacted him through LinkedIn, said he had it wrong, and offered to come on his show. So he had her on. He asked her how much a basic financial plan would cost. Answer: $1,500 for a basic plan. It would go up for people with more assets/complicated finances. As they got into fees charged by her firm and other financial advisors, she quoted the 3% Vanguard number for what advisors add to clients’ accounts. He asked her what she would charge to manage investments. She tried to duck the question several times but Rob would not left her off the hook. On the third or fourth try he got her to admit she would charge 0.85% of assets managed. He forgot to ask during the interview why someone would pay her 0.85% when Vanguard charges 0.30%. So he emailed her the question and read her response after the interview. Basically she said financial advisors add more value than “robo-advisors.” Rob took issue with this as Vanguard isn’t really a robo-advisor firm (they have actual planners you talk to/work with). I agree with him 100% based on my experience with them (more on this in a minute). In the end, Rob said he might just hire Jeanne to help him. I must admit, she was pretty convincing. Very professional and smooth. And Rob is a sharp guy — he’s not swayed by fast talk and slick presentations. But he does have a unique need that Jeanne’s firm might fill. Rob wants to see if he can combine taxes, payroll, financial planning, estate planning, etc. within one company. It would make his life easier and maybe save him some money. I tell you this because his situation is abnormal. Not sure he’d consider her if he just needed a review and investment management like most people. I thought about what it would cost me to use her firm. She’d charge me $2,500 (my guess) for a financial plan and 0.85% a year to manage my investments (which would be about $18k a year if you only count my investment accounts). But wasn’t the data telling me she was worth 3% a year ($68k net of her fees; I’d actually pay her $18k, she’d deliver $84k in value, and I’d net $68k)? Anyone would take that deal, right? Vanguard says there are actually five ways advisors produce extra returns for their clients. The first and most significant pertains to behavioral finance: Keeping clients focused on the long term and urging them to stick to a regular investing plan can add up to 1.5%, the report says. Advisors also increase returns by up to 0.75% by providing “thoughtful allocation of assets.” That refers to diversification — advising clients on how much to invest in stocks vs. bonds, gold, real estate, oil and gas, foreign securities and other assets. The right asset allocation can increase returns, and Vanguard says professional advisors are better at this than consumers. Another 0.45% can be generated in returns when advisors help clients keep fees low. One of the ways our firm does this is by investing in low-cost exchange-traded funds and institutional-grade mutual funds as opposed to costlier retail mutual funds. Rebalancing adds another 0.35% to 0.40% of performance value. As our clients know, we review every account on a daily basis, seeking rebalancing opportunities. We know very well how valuable rebalancing can be in portfolio management. Unfortunately, few investors rebalance regularly — if at all — on their own. Finally, advisors can add another 0.70% in returns when it comes time for clients to spend their assets in retirement. By carefully evaluating their mix of tax-free, tax-deferred and taxable accounts, advisors can help clients minimize the total taxes they pay over the course of their retirement, thereby increasing their wealth and the longevity of their investments. In case it wasn’t clear above, the 3% gain is net of fees. That’s why the five areas add up to almost 4%. The advisor is worth an extra 4%, charges 1%, so she nets the client 3% of fees. Once you get into the fact that the 3% is made up of different portions tied to specific actions the whole “planners make you 3% more” argument starts to take some hits. Numerous studies are showing that financial advisors usually earn their keep by functioning as behavioral coaches for their clients rather than from active asset management. 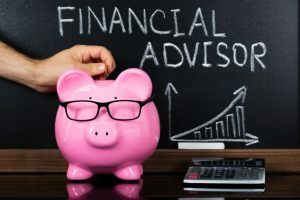 In other words, financial advisors are worth the cost for their “don’t panic, stay on a budget, and keep saving” advice, not from their investment prowess. This is also evident in the Vanguard breakouts above. So if you’re a person who doesn’t need a “behavioral coach” to manage your money, it’s likely the value of a financial advisor is negligible. Uh huh. Now I see. All of this brought me around to remembering a couple life experiences I’ve had — one decades ago and another more recently. It was one of the worst pieces of financial advice I’ve ever given anyone. They didn’t get the whole life policy, but they also didn’t “invest the difference” (they did buy term insurance). Instead, they “spent the difference”. Years later I began to see the folly of my advice. Yes, their whole life insurance was a crazy expensive way to save/invest, but it would have been better for them to buy it and force them to save rather than have them try it on their own and fail. Even if it cost them a pretty penny, they’d save more and be better off in the long run. You see, they are the sort of people who need a behavioral coach. And for them, paying a financial advisor to keep them on track and accountable is probably worth 3%. Secondly, a few years ago I had a financial plan done for me by Vanguard. It was free because I am a Flagship client. I talked to an advisor on the phone initially (he was very professional), then sent him my data. He sent me a 30-page report (or so) and called again to go over it with me. The bottom line: there were a handful of tweaks here and there but I didn’t really need to change anything. He suggested they could manage my money for me. I pointed back to their report saying I was doing ok on my own. There wasn’t much he could say. So for someone like me (and, since you’re reading this post, probably you too), the value of an advisor is likely way below 3%. In fact, it may be way below the 1% fee that most of them charge. Why? Because we don’t need the behavioral coaching that adds the most value to their services. And we can certainly manage our own investments for far less than 1% (or even 0.85%) of assets. In these cases, financial advisors are probably not worth the money. I want to end by again saying that the term “financial advisor” is broad. In the conclusions above where I say some people may need one, I mean they may need a fee-only planner with a solid reputation (and references) who is also a fiduciary. I would never want to imply that someone accept just any “advisor” — most of whom are really just sales people trying to make your money their money. As such, people have to be VERY careful when they hire anyone for financial advice. You hit the nail on the head with this post. It all depends on your knowledge level, your discipline, and your circumstances. I have been talked into investing with a couple of advisors who no doubt meant well, but in no way earned what I paid them (and their employers) in fees and expenses. My Mother and Stepfather used separate advisors for years, and just recently decided to both use the same advisor. They are paying 1% a year currently, which for them may be worth it, as neither of them want the hassle of managing their own investment portfolio. I on the other hand manage my own funds via an IRA and my workplace 401k (both with Vanguard). I enjoy the work of re-balancing regularly, and have learned over the years to ride out the bumps in the market. Thoroughly enjoy your posts, and this has to be one of the best!! I agree people should be careful in hiring a planner. I’ll even take it a step further and say you CAN beat a planner on your own. The thing is most people don’t care or can’t be bothered to learn enough to do so. If the choices are flail around and sell stocks at a bottom, then a planner is worth the cost. The key then is just getting to get a real advisor instead of sales. Get one that covers everything (frankly I believe roboadvisors are worthless as they cover the easy part). For someone like myself that cares about finance, an advisor is a collasal waste of money. It’s not that hard. These match my own thoughts very closely. Of course, YMMV depending on circumstances (like my parents). I like how this is broken down. It seems to me that the behavioral coaching is the biggest factor from the aspect of the ego investor who knows better than a FA, the market timer, day trader to constant fiddler can cost you more that the person who sits on the side line.However I have seen FA have money in assets that the people should not be in. (when my sister asked about his 403b) Probably due to the heard mentality of ” you need to have gold in your portfolio”. So I can’t really say how a FA would help unless they are a good behavioral coach. If you are a set it and let it ride and good discipline then this goes away so I can see that you don’t need a FA. Alas I don’t see people doing this. They would rather take poor advise from an advisor than the correct advise from a friend because the advisor is a “professional”. I can see how spending strategy is next in that people make mistakes in which assets to draw upon first. Tax laws change and it has implications. However this is more of a good tax accounts job and a financial advisor is not knowledgeable enough in my opinion on a ever changing tax law. I went to an estate planning lawyer for my estate plan, not my general lawyer who is not following all the changes to estate tax laws. Would you say that people are putting too much trust in FA to make up for the short fall in there savings plan due to the underfunding of these plans by them? I think people will be sadly disappointed by the FA failure 10 years from now. At this point in my savings I am looking to reduce volatility in my investments but maintain good growth along with a proper withdraw plan. I think people who hire an FA put too much trust in them in general. I hope they select their FAs carefully and still work to learn about their finances. they will be better cliebts the more they understand themselves. Really Vanguard? My feeling is that it the benefit would be a lot less than 4%. Aren’t Vanguard Funds among the least expensive already. If I used your advisors would you really recommend a Fidelity or DFA fund because it was cheaper? Perhaps but there are arguments against rebalancing to frequently and even some thought from Jack Bogel (your founder) about not needing to rebalance at all. Absolutly. I can’t argue with this one. It is difficult for some people to ride out a bear market and they make big mistakes. But some of those people even with an advisor will still bail. And some people without an advisor will hold tight. Maybe but there is a lot of free information out there about this and it is fairly easy to follow. Sure, up until you turn 70 1/2. Then it is easy to figure out. If I have to withdraw it and pay takes on it I might as well spend it first. Yeah, I’m wondering if the study was done by the VG division that offers its own FA services. Why else would they even publish this? The Vanguard study did not discuss the lost opportunity cost of the 1% to the FA. The lack of compounding on the AUM fee that is removed from the assets will add up to a mountain over time. You would want to consider this in the comparison of outcomes. Well, you’d actually be getting 3% to the positive compounded over time, so that would be huge IF it happened. I agree with what I think you’re saying — the 1% cost is fixed and WILL happen. The 4% gain is in theory and may or may not happen. That’s a very good point to consider. There’s far more to proper financial planning. What’s the impact of withdrawing various amounts from taxable v after-tax savings? How does it impact not only taxes, but Social Security taxation? Obamacare subsidies? How do you want to structure your legacy? What makes sense with the tax code? Gifts? Irrevocable Life Insurance Trusts? How familiar are you with all the Social Security nuances, such as “file and suspend” (recently done away with) and other provisions in order to maximize your financial plan? When does it make sense, upon leaving employment, to leave your money in an employer’s 401(k) versus rolling it into your self-directed IRA? 2) found FAs didn’t add any significant value in these areas. 3) They focused only on portfolio returns as people like to compare how much their portfolio earns v how they would have done with others. Maybe. But many of the things you list (and the services that FAs provide) can either be learned on your own or purchased on an ad hoc basis when needed without paying 1% of managed assets (which is very expensive for people with high assets). It’s a matter of time, expertise, interest, etc. I tend towards not judging whether or not someone else feels something is worthwhile *to them*. As long as they go into it eyes-wide-open, their choice. Do you happen to be a financial advisor? Or have you used one? If so, I’d be interested in hearing if you think you’ve netted 3% back (or even what you’ve gotten in return). Yes, we all have choices to make. I’m just trying to ensure they are informed choices. Nor have I used one. I consider myself reasonably knowledgeable (CPA earned in mid 80s, VP-Finance, CFO, etc.). I have toyed with the idea of becoming a CFP in retirement, less as a way to make big money, but more as I see a real need for certain populations to be guided in the labyrinth of financial decisions facing them without their having sufficient knowledge and lacking interest to gain that knowledge. Agree objective should be a fully informed choice. Oh, now I see. CFO sort. I was VP-Marketing for many years (at various companies) and your sort was always my arch-enemy!!! Ha!!!!! In reality, I wasn’t the typical “let’s spend like crazy” marketing guy and I got along great with the finance guys as a result. I was just as likely to say “spending this money isn’t worth it” as they were! And I wasn’t the standard CFO type: as such, I was given roles in manufacturing operations, supply chain, etc. I’m as likely to push for spending as pull against it. As an aside, it could be helpful to distinguish between fixed fee-based planners v those taking a cut of the portfolio. Yes, it’s good to have thought-provoking discussions!!!! I do look over older material and respond to comments, so don’t feel limited. I believe there is a good analogy between personal finance and physical fitness. You don’t need a personal trainer to get in shape. You can find all the information you need online, in books, magazines, etc. But, a good number (if not most) would benefit from the trainer telling them what exercises to do, diet to follow, etc. – so there is a benefit to having one. However, you’ll pay for the personal trainer. Is it worth the cost? I don’t have either a personal trainer or financial adviser. I’ve seen great results with a trainer. Then again, I haven’t spent 20 years learning about health and fitness. I have spent that long with money and know a lot more about it. I was thinking along the same lines as I don’t have a financial advisor but I do have a violin instructor come by bi-monthly. I was having trouble maintaining a consistent approach to my practices (it means a lot to a cop to be philosophically consistent) until I realized I pay my absurdly talented instructor 1.1% of my monthly income. That 1.1% of monthly income is DRASTICALLY different from 1% of my portfolio AND I have a damn good time. I have a 10% return in my Vanguard Portfolio that goes back 15 years. I bought during the down markets and we have always contributed the max to our 401ks. We can’t do IRAs anymore. I have found discipline to invest and invest more when the market is on sale helps tremendously. I probably invested about an extra $75K during the 2008-2009 financial crisis. The podcast I listen to kept saying it is the greatest buying opportunity in a lifetime. We buy cars for cash and try and keep them a long time. We bought a house that was way under what we could have bought. We will be retiring within 3 years as soon as we both vest in our pensions. I will be done by 54, wife by 52. Just curious what expenses have gone up that maybe you didn’t anticipate? We plan to do a ton of traveling and have a budget of about $40K a year for travel. The rest of our expenses are pretty low. Giving is lower because we moved it out of income giving and through asset giving via a DAF. All the expected work-related costs (gas, clothing, etc.) are down as expected. The wife wasn’t happy with my buying when there were 500 point swings in the market. I just kept saying, it will be higher 10 years, 15 years later. I have my spreadsheet going out until we are 80 and since we are in the highest tax bracket now, I am considering doing small amounts of IRA conversions while we are in the 25% bracket for about 4-5 years. We also plan on doing some donations from the IRAs. My goal is to withdraw money from the IRAs first while we are in the low brackets to reduce the RMDs. Wife pension starts when she is 58. We are considering a DAF at Vanguard, but will probably just disperse the majority of money instead of an ongoing thing. We already give to several Foundations now and will probably ramp it up once we retire. Jeff B could be your next millionaire questionnaire series? I enjoy the every dayer vs blogger on these. FYI, I have 11 new millionaire interviews already completed and ready to post over the next three months. Are you interested in a Millionaire Interview? I am happy to be a part of the series. Hopefully I can add something. What a great post ESI, thanks for doing all that research for us. I’m usually a DIY’er myself as I enjoy learning what I need to know and implementing it appropriately. With that being said I agree there may be times for a ‘financial advisor/coach’ or as you put it – “a fee-only planner with a solid reputation (and references) who is also a fiduciary”. Almost like a check-up with the doctor to ensure our health status or an attorney for our legal needs. For some financial matters, they may save one time and money. Thanks for writing this one! I think the behavioral part is actually easier to control than most people realize, however it requires learning the basic concepts of investing along with it. If you don’t understand that you don’t actually NEED to do a whole lot of work to manage a portfolio, then you are more likely to make bad decisions because you think you’re supposed to be responding to market fluctuations all the time. It also requires a little bit of experience. I was CONSTANTLY paying attention to the market when I first began investing as an adult. I also already knew I shouldn’t try to time the market. As each contribution became a smaller % of my portfolio and the absolute value changes lessened with market fluctuations, it became really easy to ignore things the way I am supposed to do. In disclosure I did use a planner for about 2 years. They told me I was doing a great job on my investments and then got my estate planning in order (basically the trust/will) and got me disability insurance. The estate planning was where I needed help. The fees they charged for their services were astronomical, especially considering I was already doing a good job. Then I started having concerns about their service and ethics and cut the cord with them. At some point, like a waiter bringing you a $15 bottle of wine vs a $200 bottle of wine, the service is basically the same. Why does one tip more just because the bill is higher. I chatted with an FA to confirm what I was doing was correct and at some point, they aren’t doing much to generate their 1% fee. It’s up to the market. I am willing to pay a flat fee of X per year for investment advice on strategies, but for them to take a % just seems silly. Now that said, many people make some stupid decisions that might cost them a ton of money, but if I have a portfolio of $5M, is $50K a year a justifiable expense? Fully agree. It’s why I broke up with my advisor. Very informative article (my first read of your writing). If I am not mistaken, this month’s AARP magazine has an article about robo-investing vs personal vs DIY. They show the end result using each method, and DIY came out with more money. (I would need to double check the article to be 100% sure of it, since I just had a chance to glance at it in an office lobby. According to Wikipedia 1/3 of Vanguard assets under management come from financial advisors. I can’t imagine Vanguard ever saying anything bad about them. Same with Forbes. I just signed up for your newsletter. Looking forward to reading more great articles! ESI, is this Financial Advisor/Planner friend the guy from the gym, upon learning that you were early-retired, said “I’d love to meet your Financial Planner!”? If so, he’s going to school on you! In the best way, that is a really great compliment he is paying to you. And very interesting information he is sharing with you. Sounds like he is halfway practicing his pitch, to see if you punch any holes in it (i.e. ‘in 20 years nobody has ever asked for their money back.’) Well, it is always nice to make a friend; you have PF and physical fitness in common, and everybody has to eat lunch. Loved this post, thanks! He is the guy that said that but he’s not from the gym. Actually a friend I worked with 20 years ago. How many times in a year does one need to visit a doctor? It depends. If you have bad health and need monitoring and guidance, then multiple visits may be necessary. If you are healthy and eat smartly and exercise, then maybe an annual visit is good. Financial planning/advising is similar. There is an inherent bias in the people who are on this discussion group. You all are more savvy about money than most people. So you might not need a financial advisor. Does this mean no one else needs a financial advisor? Would you say your spouse is as savvy with money as you are? Would you say your parents/siblings/friends/colleagues have the same level of sophistication and interest in managing finances as you have? How come all of them are not retired at 52? What percentage of the population do you think you fall in? Do you think 50% people are like you? Or 80%? Or barely 5%? And yes, you guessed it right. I am a financial advisor. I am also a CFP(R) and a fiduciary. And I am proud to be a financial advisor. I add value to my clients in ways that are not tangible. Judging by the portfolio returns is a wrong way of judging all the intangible ways in which I try to serve my clients. Unfortunately, portfolio returns is the industry yardstick of judging a financial advisor. Like any other profession, there are good people and there are bad people in financial advising/planning. But this does not mean there are not honest, decent people who work hard to do what is right for their clients. I hope you will make time to know of these people and appreciate the work they do. Thank you. I think there are a couple things you got wrong. First, some people do need a financial advisor (like my parents in the article above). That was stated clearly above. No one said that no one needed a FA. Second, I don’t think anyone said all FAs were bad. Obviously, there are good and bad people out there in every profession. It’s just that in this one there’s a large percentage of unqualified people who call themselves FAs and try to appear to work in people best interests when in fact they know little about personal finance and are simply sales people. This is why it’s important for individual to understand the basics of managing their own money. So they can either make their own decisions or work with an FA as an intelligent partner. Either way they are better off. Wouldn’t you agree? I think almost everyone needs financial advice. That isn’t the same as saying someone needs an advisor. The vast majority of people only need an advisor periodically. Many of the things people pay advisors for have become easier or cheaper to learn and do without advisories. That isn’t true for all things or people — estate planning requires real advice for most people, not just the Internet. However that can come from many places, not just an advisor. The added value of most advisors is in giving advice in multiple areas (though not all are qualified to do this) and avoidance of obvious mistakes (though some unscrupulous ones help make mistakes). If most of America saved 20% of their income and had a will that would be a huge leap. If an advisor is the only way to do that then you need an advisor. I just think people use an advisor for the things they think are hard but are really actually easy, and don’t use them for the things they do need. This is a very well written and thought-out post. I appreciate all the digging you did to understand where the 3% value came from. I agree 100% that certain people, my parents included, would probably get the 3% value out of the financial planner. Personal finance is, what, 90% behavior? Thanks for the excellent post! I am new to this site and love this post. However, I would advice newbies into the world of personal finance to forget a financial planner, and invest some $100 in a few good personal finance books; Dave Ramsey, Suze Orman, Millionaire Next Door and Rahmit Sehti. Read those first, apply the advice and then ask the question again. First of all, welcome! Great to have you. Second, I LOVE the idea of investing in some books/learning. I listen to Ric Edelman by podcast. Many shows are pretty informative. There is a set of people that is educated, capable, disciplined enough, and has sufficient time to properly manage all of this stuff alone. That’s probably 10% to 20% of the population. For the other 80% to 90%, some form of advisor absolutely adds value. As for me, I could probably squeeze into that 20%. But this one is important enough that I don’t mind having another educated person who is able to follow the markets much more closely than I can fly co-pilot with me. It’s important enough. Getting this one wrong has big implications. I know it costs money. I believe it’s worth it. What do you mean by “follow the markets”? That implies actively trading/individual stock purchases/market timing, all of which I would say is negated by a regular index fund investing strategy. I just find it a game to watch the market every day. When there is a large panic in the market, I buy. Usually within a few days, the market went back up. In 10 years the market will be over 30,000. It has never been down three years in a row. Yes, there were 10 years of basically flat growth, but if you dollar cost averaged into the market, you still didn’t do too bad. Depending what you were invested in. I heard a caller talk about what he lost in the 2001 tech debacle. Well, if he hadn’t sold, or wasn’t in single stocks, it would have grown. Same with 2008. The market is up 300% from 2009. I get it if you are taking money out of the market during the down turn, but that is why you need cash for those times. This is right up my alley! No wonder some hedge fund managers can afford to burn $57.3 million on a house without blinking an eye! Fees add up and compound to hundreds of thousands of dollars, even for the average investors. With our personal investments, we aim to stay highly diversified and keep our cost to the minimum. We invest most of our assets with Vanguard given their hyper-low fees and their principles. Thanks for the thorough article and the associated data points. Every few years I ponder the idea of contacting a fee-only Certified Financial Planner. But then I look at what I’m likely to receive and I just don’t see the ROI – at least currently. Outside of a mortgage that will be paid off within 4 years, we have no other debt. We max out 401k, invest a healthy amount in low-cost index funds in our brokerage accounts, and take advantage of every dwindling tax credit/reduction that we legally can. So I just don’t see what a financial advisor is going to recommend. In a few years, once we retire, we plan on looking into Roth IRA ladder conversions. Perhaps at that point a financial planner may provide some benefit, but I think we could figure that out as well. There was a PBS fund drive and for $250 I got two hours with an FA. Basically he said I was fine with my allocations. He gave me some good tips about estate planning. If you are into Financial Planning you probably don’t need someone. Plenry of people don’t have the time or inclination to deal with it. This is the best post on ESI Money to date. Very well researched and I appreciate the investigation. Well worth the read. Would love to see more of these types of posts. Excellent work! This post is excellent. Financial advisors do provide some value, but on they whole they aren’t better investors than the market. Good ones are just personal trainers of the investment world. If you don’t know what you are doing, or need specific advice (most tax effective way to handle retirement withdrawals, etc) then find a financial advisor that is a fiduciary and CFP. If you can keep yourself on budget and stay disciplined through investment cycles, you’ll do better in the long run without an advisor. Especially today when there are so many support and investing communities, even if you needed a little coaching and encouragement you could probably find it for free among Boglehead forums. Thanks for the awesome breakdown! What bothers me about this is selection bias. Don’t you think people who are motivated to save for retirement are more likely to consider financial advisers in the first place? Couple that with what you pointed out about the distinction between people who need outside reinforcement of saving behavior and those who don’t, and this seems like a “Duh!” study by John Hancock with absolutely no value in determining whether an adviser is worth while! This is so timely to us since we just parted ways with our ‘first-ever’ CFP engagement about a month ago. The relationship lasted 9 months. I am now legging into the market via ETFs in diverse markets. For the moment i’m planning on keeping some cash as my ‘bond’ fund to take advantage of dips. I now see the need for FAs and CFPs for some people, and I’d tend to agree with other posts that this group is less likely to need that type of service. Yes, I invested all the way down, down, down in 2008. I took cash on the sidelines and invested it on the drops only to see more drops the next day/week. But I stuck with it and now those funds have done quite nicely. Cost to me: 0%. No need for an advisor. So you did not rebalance, only added cash? Which funds were they? Also, why did you have cash on the sidelines? Was it because you took money out of stocks and was it because they were selling off? You’ll answer ” because I didn’t invest it in the first place and I was looking for the right opportunity. aka market timing. I’ll believe it when I see your statements otherwise it’s just talk. Feel free to prove me wrong. You can’t come on here and say ” I don’t need a financial advisor, they aren’t worth the money, and I did just fine by myself, without anything to compare it to in the first place. How do you know you have the optimum mix of assets for your desires, preferences and goals? How do you select your mix of assets? what is your investment philosophy? How do you know that you are truly diversified? I could go on and on, but what I’ve found is that do it yourselfers often tell themselves necessary lies in order to justify their behavior, and 10 times out of 10 fare much worse over their lifetimes than when working with an advisor who believes in the free market, and has the knowledge, expertise, competence, and resources to do it correctly. Hahahahaha! I think someone has a vested interest. It’s always interesting to me when someone comes on this site, has never commented previously, and all of a sudden offers lots of criticisms. Have you even read any other posts? Do you have any idea what else I talk about? Are you an advisor yourself? (I’m sure you are). Thanks for helping me understand that there are a lot of professions under financial management which is why we must choose the right one. I will share this information with my best friend since I heard that they will be needing one when they start a bakery. This is because they are just focused on creating goods, and they have no background with financing which is why they need their assistance.